Home / Inside View / AUTO PILOTS: WHAT DO CUSTOMERS WANT FROM AUTOMATION? Automation technology is advancing, but what features do customers actually want? 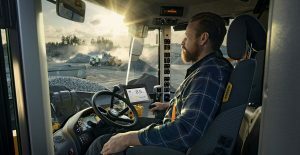 In this article Volvo CE’s Tine Lefebvre, Global Director Connected Services and Koen Sips, VP Customer Solutions, highlight how automated services are making every operator the world’s best. We talk about ‘automation’ as if it’s a new thing, but when it comes to constrution equipment the progression of automating processes has been going on for years. The automatic gearbox and climate control are just two examples, relieving us of the responsibilities of changing gear or turning the heating up and down. What is now different is that, thanks to advanced technology, the level of operator assistance is set to transform the overall productivity of machines. As well as improving the machines themselves, such as more efficient combustion engines or hydraulic systems, a new level of technology is focusing on how efficiently a machine is working in a particular job site. For example, with the latest excavator digging machine control systems – such as Volvo’s Dig Assist – the operator doesn’t need to step out of the machine in order to take measurements – because the system will have calculated exactly what material has been taken, from where, and what the levels are. This represents savings in time, money and improved safety. It’s not just measurement. The next level of assistance is semi-autonomous functions, where the machine actually helps the operator with the task in hand. Staying with the digging example, these systems automatically create a certain level or grade, or preventing digging too deep or raising the boom too high. The machine is basically helping the operator to be at the exact right spot or the exact right depth of digging the hole or trench. Even that level of sophistication isn’t the whole automation story. There is another level – where machines ‘talk’ to each other, thereby boosting total site productivity. Machine telematics relay large amounts of data – so much so that it can be overwhelming. What is developing now are active monitoring services that automatically – thanks to the business logic’s algorithms – highlight problems, triggering the sending out of technicians with a detailed diagnosis of a problem and the tools and equipment to remedy it – all with no unplanned downtime. One example of this type of tool is the ActiveCare uptime service, where Volvo and its dealers partner up to detect at a very early stage health problems of the machine and proactively solve those. Speaking only for Volvo CE, our Co-pilot platform has been deliberately designed to be a semi-open system. It’s early days, but other people can develop applications that run on Co-pilot. These can be customer-specific, site-specific or application-specific solutions. While it’s limited only by imagination, we do need to introduce these in a controlled way. We are happy to provide the technical highway for others to drive their own solutions on. As with technology-driven changes in wider society – such as online music streaming – automation offers the potential for new business models to emerge. Machine control and monitoring systems could in the future be subscription-based or pay-as-you-use. This will provide benefits for both customers and manufacturers. The business model and best way to market these new services is something we are still learning. Automation for its own sake isn’t viable – it needs to add commercial value for customers and operators. That’s our challenge now – we have all these amazing technologies but the market needs to realize the potential of the technology. We need to be careful – investments are high, and volumes are relatively low. As a result, automation in the construction industry can only move as fast as the correlation between development costs, productivity gains and affordability allow. In most cases there is unlikely to be a one-step jump into fully autonomous machines – the journey towards it will come in stages. 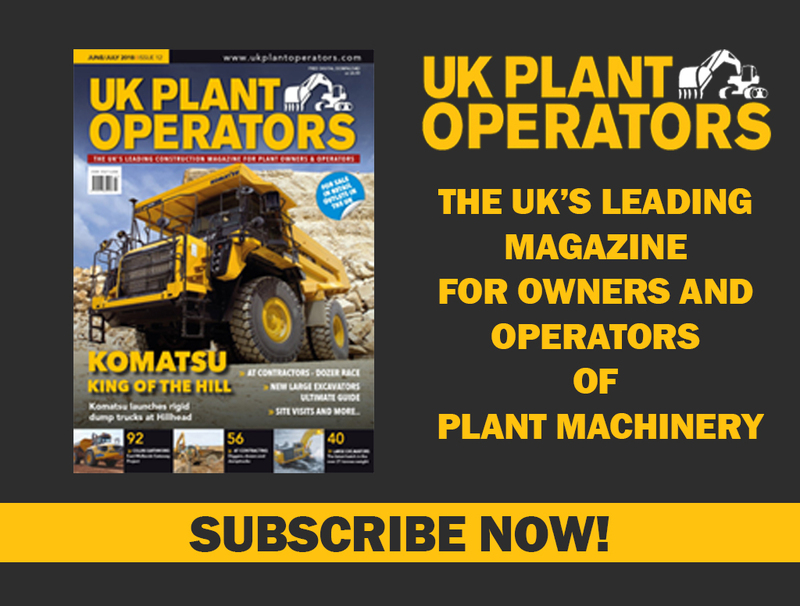 Most probably there will be a number of (largely repetitive) applications that can be done fully autonomously, while others remain semi-autonomous for the foreseeable future – helping operators avoid mistakes or become more efficient. Operators are around for a long time yet. The role of automation will be to remove repetitive tasks and allow operators to do a better job. Far from deskilling them, automation allows operators to upskill, increase quality and efficiency – and making every operator into the best operator possible. The advance of automation is inevitable – but is not without its challenges. It involves introducing modern technologies into an industry where working practices have not changed much in half a century. It will involve a mind shift for all concerned. Can you guess what machine this engine slots into? The payload answer for ADT haulage?